You want to know what I was before all this? I was nobody. Nothing. 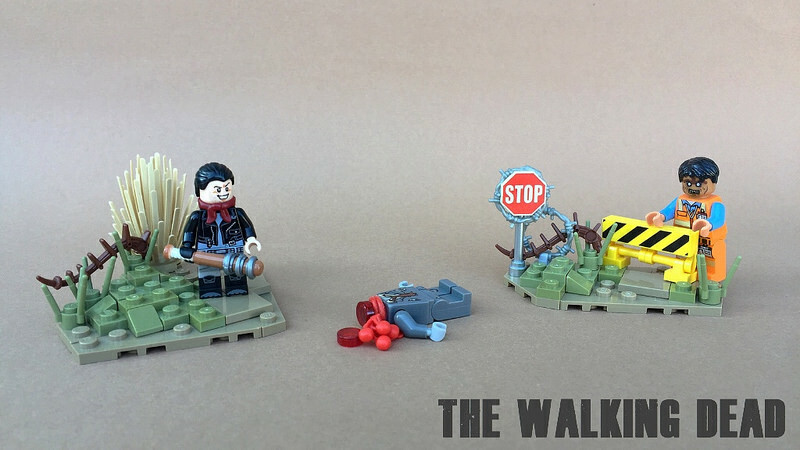 Fans of the graphic novels or the AMC show will appreciate these Walking Dead LEGO creations by Jonas Obermaier. The first scene features everyone’s favorite post-apocalyptic redneck, Daryl Dixon. Jonas created a sleek motorcycle for Daryl that has just enough detail (look, there’s even some chrome!) to look like a million bucks. He also turned out Daryl’s legs for a more natural pose. Jonas’s other Walking Dead build is a gruesome scene featuring Negan. There are a lot of interesting building techniques here, but what I love most is the ribbed hose (cut into strips) used to enhance Negan’s bat. 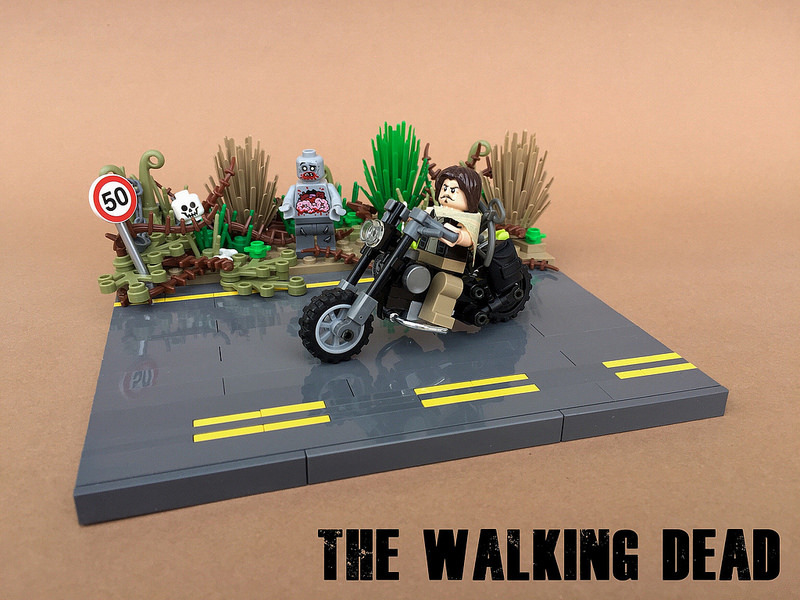 And word on the street is that Jonas is working on a larger Walking Dead display for ComicCon Germany, so we should be seeing even more Walking Dead LEGO very soon!